There’s a LOT that goes into owning a dog. 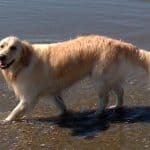 If you haven’t owned one before, you may imagine skipping down the sidewalk, your pooch loyally keeping up the pace next to you and smiling back at you with a lolling tongue out of their mouth. While this is a lovely picture and one that many people imagine, there is a certain level of responsibility that needs to be considered before adopting a new furry friend. If you are not a responsible person, you probably need to reconsider adopting and opt for a fish. Let’s walk through the 5 steps to being a responsible dog owner. Consider your schedule you currently hold. Do you work predictable hours? What are your hobbies? Are you willing to change any of these things to create the space and dependable schedule a dog needs? It boils down to time. Do you have enough time to add something like a dog to your life? One of the biggest reasons people give up their dog after bringing them home, is finding out they just don’t have the lifestyle to keep their dog happy. This is especially true with an energetic dog. I don’t know how many times I have seen dogs at the humane society that are there because the owner didn’t have enough time or space for them. It’s possible to keep your hobbies and include your dog. I mean, I’ve brought my pooch on a kayak before and it went surprisingly well! Just keep in mind that you need to create a space in your life for your new pup and how that will change your lifestyle. This point, I can’t hammer home enough. It ties in with the lifestyle step. You need to know that the kind of dog you are going to get is going to work in your life. For instance, if you are a highly career oriented person that lives at their office, do NOT get a dog that is high energy and needs to be outdoors a lot (i.e. 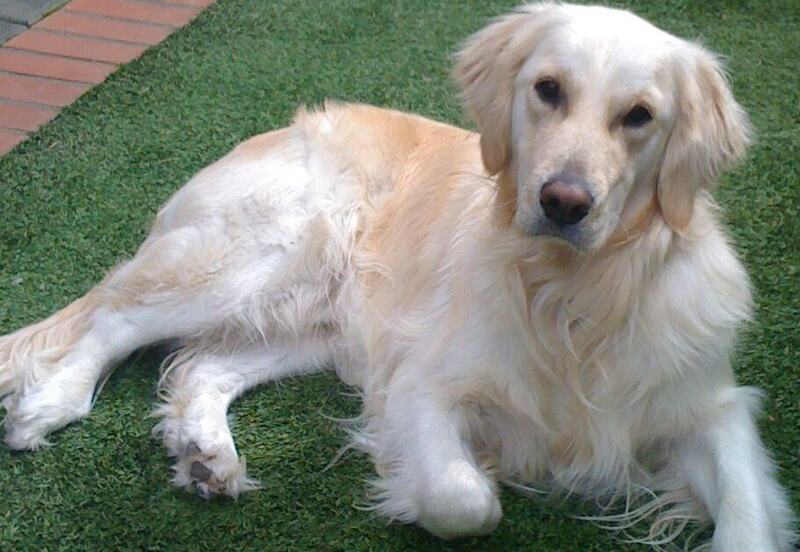 a golden retriever). On the same hand, you would be severely disappointed if you wanted to take your dog trail running only to find out that they don’t like running, or being on a trail, or leaving their dog bed for more than an hour or two at a time (i.e. a basset hound). 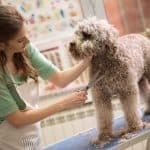 AKC has a great quiz to find the right dog for you. I would stick with websites like the AKC to pinpoint which breed will fit in your lifestyle best of all. Also, never rule out adoption or mutts. Some of the best dogs I have ever met have been mutts. There is a certain loveable property about them that can’t be beat. So many vet visits, stressors, and destroyed property can be alleviated if you properly dog proof your home BEFORE your dog arrives. Now, we aren’t baby proofing so you don’t have to go crazy here, but there are a couple of things that you can do that will really help you and your new buddy out. First of all, get rid of anything that is poisonous to dogs in areas where your dog could get to it. This can be a plant, poison, antifreeze, etc. Really use your imagination here because if your dog is anything like mine have been, they can be a regular “houndini”. If you have a larger dog, almost nowhere is safe, unless it is locked with a steel door. Another point is to put away nice decorations, furniture, etc, until your dog is trained. My mother, for example, is still traumatized from when their new basset hound chewed through a brand new leather couch. This was almost 15 years ago. She still brings it up. Dog proofing is a serious business! For more tips check out how to dog proof your home. Every dog responds differently to different training methods. Considering your dog breed is a great way to initiate your training style. 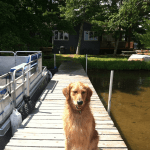 A more active dog may need to be run for quite awhile before training so they can pay attention well while a lazier dog might respond better with lots of treats. On the same note, the environment plays a huge factor in this, too. If you have a very chaotic living space or not enough room for your dog to roam, you may find them frustrated. They can lash out or even get aggressive with training and that doesn’t help anyone. Your lifestyle ties in with this step, too. If your dog is kenneled up all day long and then you try to start training right when you get home, your results are going to be less than stellar. Both of you need to be in a good mindset to make training effective. I would highly recommend finding a local dog trainer. We did that with our dogs and there was a night and day difference. It’s worth it to find the right training methods from the start. 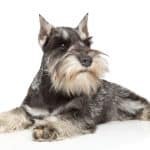 If you don’t train your dog well or take too lazy of an approach from the start, you can run into some serious behavioral problems down the road that can be really hard to break or change. This may be the most important of all the steps. Consistency in training is going to be essential to your dog. If one day you let them on the coach and the next you scold them for getting up there, they are going to be extremely confused and get frustrated. Stick with your training day in and day out. The dog will learn faster and you both will be happier. 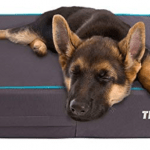 You can also make them more happy and show your love by giving them a great nights sleep on a snugly dog bed. Loving your dog is an easy thing to do. However, loving them after they ate your favorite pair of shoes or ate the sheetrock on your freaking wall (yes, that happened to me) can be difficult. Remember that you chose to bring them into your life and you are responsible for them.